Summary: A new study reports increased risk of schizophrenia in mice whose mothers were deprived of DHA during pregnancy. Mice that are deprived of an essential fatty acid, called docosahexaenoic acid (DHA), during pregnancy, are more likely to produce pups that display schizophrenia-like symptoms as adults, according to a new study from Japan. DHA is an essential fatty acid – “essential” because our bodies can’t produce it. It must be obtained from food. Oily fish, such as salmon and sardines, are good sources of dietary DHA. It is well understood that DHA plays a role in brain development. It is especially important during the last three months of pregnancy, and in the first two years of adolescence. Studies have shown that babies fed on DHA-supplemented formula milk display higher visual acuity and problem-solving at 11 to 12 months. In an animal study, rats deprived of DHA – resulting in a 50-80% reduction in DHA levels in the brain – were shown to have impaired learning and memory. Conversely, dietary DHA supplementation has been shown to improve learning and memory in brain damaged lab rats. In the Japanese study, conducted by researchers at the RIKEN Brain Science Institute in Tokyo, mice were fed on a diet free from DHA, prior to conception and up to the point the offspring had been weaned. The mouse pups were then given a standard diet, containing DHA, and tested at eight weeks, which roughly translates to human adolescence. The cognitive function of the mice was assessed using standard mazes; they needed to find and remember the location of a food reward. And depression and motivation were assessed by monitoring the mice’s general activity and how quickly they avoided open spaces in special mazes (mice prefer enclosed spaces). Mice born from mothers fed on a diet that excluded DHA showed significantly lower performance on the range of tests, compared with mothers fed on a standard diet. Consequently, these mice displayed schizophrenia-like symptoms including, impaired cognitive function, and reduced motivation; characteristic of the early stage of disorder. This led the study’s authors to suggest that getting enough DHA during pregnancy may protect against schizophrenia-like symptoms in the offspring. The mechanisms underlying how diet can play such an important role in brain function and health are poorly understood. The dogma of genetics being entirely based on what we inherit, rather than the environment we are exposed to, has been questioned by scientists in recent years. The advent in understanding of the concept of epigenetics has revolutionised the field of genetic science and provided a potential mechanism through which the environment exerts an influence on genes. Under epigenetic modification, certain mechanisms can change the way a gene functions, or is expressed – without changing DNA itself – resulting in vastly different outcomes. These mechanisms are in turn activated by environmental factors, including diet. Conversely, dietary DHA supplementation has been shown to improve learning and memory in brain damaged lab rats. NeuroscienceNews.com image is adapted from The Conversation news release. In the Japanese study, the researchers investigated the levels of two genes (Rxr and Ppar), known to be associated with schizophrenia in humans. They found evidence that these genes had been modified by epigenetic factors, resulting in lower activity in the mice that displayed schizophrenia-like symptoms. It’s very difficult to draw a direct comparison between evidence gained from studies in mice, to humans. However, the study identified similar low levels of the RxR and Ppar gene in hair follicle samples obtained from schizophrenic patients. This suggests that adequate levels of DHA in the maternal diet protects normal gene function, which in turn protects against expression of genes associated with schizophrenia. Ultimately, given that epigenetic modifications to genes can also be passed on to future offspring, this study provides further evidence for the critical role dietary levels of DHA play in brain function and health. Also, given that epigenetic modifications to genes can be passed on, adequate maternal nutrition is not just essential to their offspring, but also to future generations. Funding: David Mazzocchi-Jones receives funding from the Medical Research Council, and the Ramacoitti Foundation. He is also a Labour Party Borough (Newcastle-under-Lyme) and County Councillor (Staffordshire). The Conversation “Eating Oily Fish During Pregnancy May Reduce Schizophrenia Risk in Offspring.” NeuroscienceNews. NeuroscienceNews, 11 September 2017. 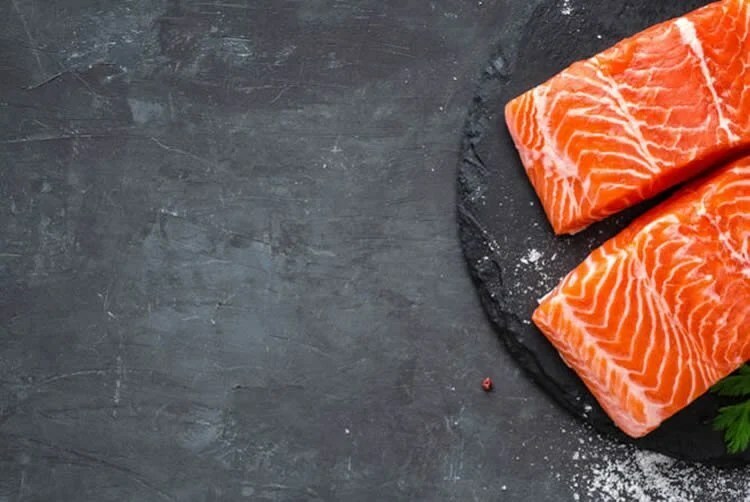 The Conversation “Eating Oily Fish During Pregnancy May Reduce Schizophrenia Risk in Offspring.” http://neurosciencenews.com/oily-fish-pregnancy-schizophrenia-7455/ (accessed September 11, 2017).